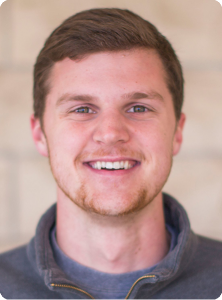 Nick Bethea joins the Cross Church School of Ministry from Georgetown, South Carolina. He is participating in the Children’s Ministry track. People Matter: This may seem elementary, but sometimes these simple thoughts are what we need to be reminded of the most. Ministry work creates a busy life¾it demands a lot of your time and energy to serve and minister to people. The temptation that we come across is to simply walk through the crowds quickly on Sunday mornings or to immerse ourselves in programming so much that we forget why we do what we do. The reason that we do what we do is to meet the physical and spiritual needs of people, as we have been called to do by God! Seasons are Real: This point is speaking to spiritual seasons. These spiritual seasons are as sure to come and go just as Spring, Summer, Fall, and Winter do. They come and go at different paces and can be as unpredictable as the Arkansas weather. But one thing reigns true for ministers, you will experience spiritual fruitful seasons and spiritual dry seasons. During the fruitful seasons, I beg you to stay humble, give God all of the glory, and do not become complacent. During the dry seasons, I beg you to stay the course, give God all of the glory, and work harder than ever before. God is Sovereign: In my personal opinion, this is the most important thing to remember when leading a ministry. As the psalmist proclaims in Psalm 29:10, “The LORD sat as King at the flood; Yes, the LORD sits as King forever.” Never forget that God is in control, He always has and always will reign as King forever. You have been called to serve His bride, the local church, so I plea with you to never doubt God’s sovereignty or His plan.